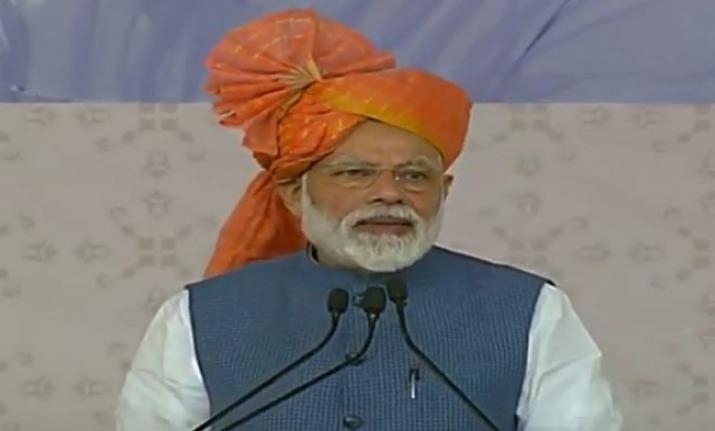 At Gujarat's Vastral, PM Modi marked the launch of the pension scheme for the unorganized sector workers, the Pradhan Mantri Shram Yogi Maan-dhan, through the online fund transfer to beneficiaries. PM Modi also distributed the PM-SYM pension cards to select beneficiaries. From Ayushmaan Bharat, mostly those benefiting are labourers. To help a family in case of sudden death, Pradhan Mantri Jeevan Jyoti Bima Yojana will help. Minimum Rs. 3000 pension will be given. If unfortunately, a person dies when he is 60 yrs, the pension will be given to the next of kin. You don't have to give a certificate showing what you earn. I have trust in you. After filling the form, the amount will be deducted automatically from your bank account. You will be informed about this on your phone. The common service centre worker who will work there will be paid by the Government Of India. You don't have to pay him Rs. 30 from your pocket. Those detracting from Digital India will never understand the impact. All you have to do is go to a common service centre where you will fill a form, with aadhaar number and bank details. Your work will be done in a few minutes. This is the miracle of Digital India. You won't be put into any hassle with the yojana. Whether he is a labourer, farmer, it is for everyone. After his Gujarat tour ends, PM Modi will head to Madhya Pradesh's Dhar, where he will address a mega-rally of tribals. The event was slated for February 15 but was postponed in wake of the Pulwama terror attack.